UK chemists have for the first time used a chemical probe to study the post- translational cholesterylation of proteins in living cells. Post-translational modification (PTM) in cells plays an important role in the function of proteins in vivo. One example is the mammalian Hedgehog (Hh) protein family: the post-translational cholesterylation of Sonic hedgehog (shh) protein regulates its secretion. However, mis-regulation of this protein can promote different types of cancers. Therefore a simple way of studying this type of modification is important. Edward Tate and colleagues at Imperial College, London have done just this. They first modified cholesterol molecules to bear an azide group and then gave this to their target cells, where it was used in PTM. They next managed to attach, via ‘click’ chemistry, a dye molecule called TAMRA to the modified proteins that carried the synthetic cholesterol. The team used this dye for ‘fluorescence visualisation’ of the target protein. When compared to traditional techniques for studying cholesterylated proteins, this new method stacks up well. It makes significant savings in both time and expense, as well as avoiding the use of potentially harmful radiation. Furthermore, Tate suspects that in the future an optimised version of this process might be used to search for new cholesterylated proteins. Want to find out more? Then download the ChemComm article for free today. You can also check out coverage of this article in C&EN. Glycogen storage disease type II (GSD II), also known as Pompe disease, is a genetic disorder that results in muscle and nerve cell damage caused by deficiency of the lysosomal acid a-glucosidase enzyme. In an effort to achieve a better technique for screening enzyme activity in patients suffering from Pompe disease, Prof. Vivian Yam and colleagues at the Institute of Molecular Functional Materials, University of Hong Kong, have synthesised a two-component platinum (II) complex-polymer ensemble for glucose sensing and a-glucosidase assay. The system works by strongly binding glucose, resulting in a 46-fold increase in the low energy emission band (800 nm) of the electronic emission spectrum. Additionally, in the presence of a-glucosidase and maltose (which is broken down to glucose by a-glucosidase), the intensity of the 800 nm emission band was found to increase with time. These results provide a “proof-of-principle” concept for label-free detection of glucose and open the way for rapid and sensitive detection of a-glucosidase. To find out more download the ChemComm communication for free until 25th February 2011. 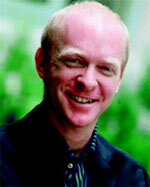 Congratulations to Professor Amar Flood (Indiana University) who is the winner of the Cram Lehn Pedersen prize 2011. The prize, sponsored by ChemComm and named in honour of the winners of the 1987 Nobel Prize in Chemistry, recognises significant, original and independent work in supramolecular chemistry by emerging investigators. The prize is awarded to Professor Flood for his pioneering work in macrocyclic and supramolecular chemistry and, in particular, for his development of receptors that employ pure CH hydrogen bonding to bind anionic guest species. Professor Flood will receive £2,000 and will present his award lecture at the 6th International Symposium on Macrocyclic and Supramolecular Chemistry (6-ISMSC) in Brighton in July. ChemComm Editor Robert Eagling and Deputy Editor Joanne Thomson will be at the symposium – let us know if you’ll be there too. Nominations for the 2012 award, which will be presented at 7-ISMSC in New Zealand, will open shortly. Email us to register your interest. Fancy submitting an article to ChemComm? Then why not submit to us today or alternatively email us your suggestions. Chemists have discovered a novel triggering mechanism for olefin metathesis catalysts while unravelling the mechanism of a crucial ligand rearrangement step. Olefin metathesis is a widely used reaction in organic and polymer synthesis. cis Dichloro ruthenium benzylidene complexes bearing an N-heterocyclic carbene ligand have recently gained considerable attention as stable metathesis catalysts. They are known as latent catalysts as they initiate slowly, which is thought to be because the cis dichloro precursors have to rearrange to their trans dichloro counterparts to become active. While studying the reaction mechanism, Christian Slugovc and colleagues at Graz University of Technology, Austria, discovered that a cationic complex is an intermediate in the rearrangement step. They also observed that pyridine, which is a donor ligand, facilitates the displacement of one of the chloride ligands, the first step in the rearrangement. But most striking, says Slugovc, is that the chloride counterion (or, more generally, a counterion that can coordinate to ruthenium) is indispensible for the catalytic activity. Changing the counterion for the non-coordinating hexafluorophosphate ion produced an almost inactive catalyst, but the activity was triggered again by adding chloride. Slugovc says this constitutes a novel concept for switchable olefin metathesis catalysts. Download Slugovc’s ChemComm communication to find out more. Chemists working in Australia have used polymer hydrogels as a ‘draw’ agent in a desalination process. Forward osmosis (FO) desalination is an emerging area of interest for chemists as it provides a low energy method of obtaining salt free water from the sea. Typically in FO, saline water is separated by a membrane from a ‘draw’ solute. Water passes through the membrane from the saline side to the ‘draw’ solute via osmosis. The water is then recovered from the ‘draw’ agent using distillation. Now Huanting Wang and colleagues at Monash University have investigated the use of polymer hydrogels as the draw agent for FO desalination. Polymer hydrogels can reversibly change their volume when exposed to certain stimuli such as temperature and pressure. This gives them an advantage over traditional draw agents as they can potentially be recycled and release the water at lower energy and therefore cost. The team found that it is indeed possible to release significant amounts of water from the polymer hydrogels tested and are investigating other stimuli, such as light, to further increase the efficiency of this process. Read more about this exciting advance by downloading the full ChemComm communication today and let us know what you think below. The binding of luminescent complexes to DNA is a popular area of research, with applications ranging from molecular switches to photodynamic therapy. It has commonly been reported in the literature that a lack of luminescence quenching by ferrocyanide, [Fe(CN)6]4−, can be used as evidence of the intercalation of a complex with DNA. Claudia Turro and colleagues at Ohio State University have now shown that a Ru(II) complex that binds strongly to DNA electrostatically rather than by intercalation is equally resistant to 3MLCT (metal-to-ligand charge transfer) emission quenching as one known to be a DNA intercalator. These findings indicate that the absence of emission quenching by [Fe(CN)6]4− cannot be used alone as proof of DNA intercalation by a complex. Hence, researchers using this method will need to take extra care when interpreting their results. To find out more and start a discussion download the communication (for free until 18th Feb 2011) and leave your comments below. So, it’s a new calendar year, new resolutions have been made (and broken!) but before we leave 2010 behind us for good, let’s take a look at some of the hot articles that caught our eye back in December. The quantification of genes in human cDNA and malaria in blood samples using a real-time PCR technique has been developed by scientists in South Korea. To find out more, download the communication, published by Dae-Ro Ahn and colleagues. Phosphinothioureas can be used as organocatalysts for asymmetric Rauhut-Currier reactions of bis(enones). Xin-Yan Wu and co-workers achieved good yields (up to 99%) with excellent enantioselectivities (up to 99.4% ee). If you’re interested to know more about the reaction conditions used then why not download their communication today? A nitrogen-induced ionic hydrate system can produce a hydrogen radical from water without direct energy sources, like hydrogen and methane. Read more about this impressive chemistry in the authors’ communication published in ChemComm. A photo-controlled anticancer drug release system has been designed by scientists in China. Based on photo-induced electron transfer between semiconductor quantum dots and an ester derivative, the anticancer drug can be released upon shining visible light onto the sample. Read more about their discovery in their communication article. Grafting highly dispersed Cu(I) onto beta-cyclodextrin shows better adsorptive desulfurisation capacity than other more conventional methods, an important development for the petroleum refining industry, say scientists in China. Xiao-Qin Liu and colleagues from Nanjing University of Technology, have published their communication in ChemComm, read all about it here first! A metal complex has been disguised as a micelle using amphiphilic phosphine ligands. The system cleverly switches between a coordination polymer and a discrete cage in response to solvent polarity or pH, acting just like a micelle. Want to know more? Then read Stuart James’ exciting communication published in ChemComm. Let us know what you think to these hot articles by blogging some comments below. If you have some of your own hot research to publish, then why not submit to ChemComm today! Japanese scientists have demonstrated the first use of ionic liquids (ILs) as eluents for high performance liquid chromatography (HPLC). Hiroyuki Ohno at the Tokyo University of Agriculture and Technology heated the ILs to reduce their natural viscosity and allow them to pass through the column. They showed that it was possible to separate a variety of biopolymers including cellulose which is notoriously difficult to dissolve. This new technique will offer advantages in the separation of a wide variety of both synthetic and naturally occuring polymers, especially those that are not easily dissolved. Ohno also believes that High Performance Ionic Liquid Chromatography (HPILC) could be a powerful tool in not only characterising polymers but also studying dynamic processes such as polymerisation. Download the full ChemComm communication today to discover more. You are currently browsing the Chemical Communications Blog blog archives for January, 2011.